Meanwhile, real financial hardships are bearing down on Americans who are getting no help at all. Flint’s water is still unsafe. Much of Puerto Rico is still in the dark. Trump and his enablers on Capitol Hill are proposing that people receiving food stamp work at least twenty hours a week. Yet over 40 million Americans – including many children and disabled – are already struggling with hunger, and food stamps average only $1.40 per person per meal. In reality, Trumponomics is a thin veneer of an excuse for giving America’s rich – already richer than ever – whatever they want, while sticking it to everyone else. 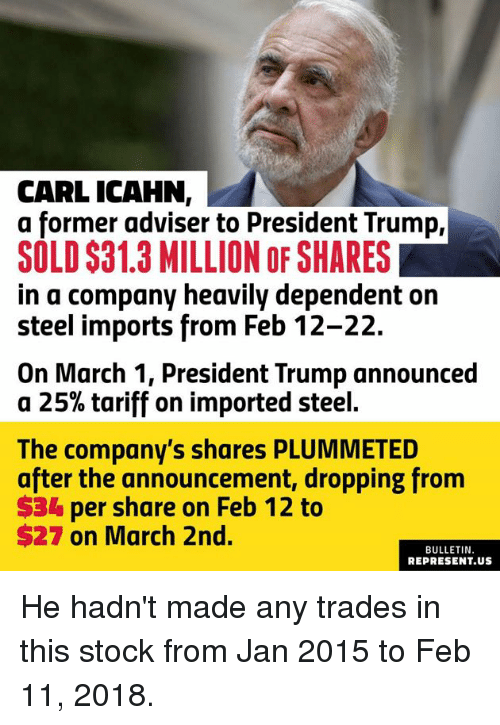 The second are those like Carl Icahn – powerful enough to extract benefits from Trump and the GOP by claiming they need such incentives in order to invest. But their neediness is a hoax, and the only significant investments they’re making are pay-offs to politicians.